The cover of Nye’s error-filled book. Bill Nye calls himself “The Science Guy,” but he sometimes acts in ways that can only be described as anti-science. For example, in a video he stated that creationism shouldn’t be taught to children. This, of course, is blatantly anti-science, because scientific progress is built on the competition of ideas. If you say that an idea shouldn’t be considered because you don’t like it, you are working against science, not for it. In addition, he narrated a video about global warming that contained a faked experiment! Faking experiments is definitely not pro-science! Nevertheless, Nye obviously loves science, which leads me to wonder why he sometimes acts against it. This, of course, is demonstrably false. Had Nye bothered to inform himself about kids who are taught creationism, he would find that they often do better in science than their peers who were not taught creationism. In addition, he would have learned that many kids who were taught creationism are now studying science at the university level or are already professional scientists. I have several students, for example, who say that the reason they decided to become scientists was because of my creationist textbooks (see here and here, for example)! Of course, the fact that Nye is utterly uninformed about creationism leads to all sorts of problems with his book, which I have detailed in the PDF document at the end of this review. What really surprised me, however, is that his book shows that he hasn’t really informed himself about the science related to evolution, either. As a result, much of what he says in the book is utterly false. This, of course, is completely false. First, the cylinder in a car engine is not even remotely a closed system. It dissipates heat into its surroundings, and it transfers mechanical energy to the engine. Thus, it is anything but a closed system! Second, and more importantly, of course the Second Law applies to open systems! Think, for a moment, about the process by which water freezes. When water is a liquid, its molecules can move about within the confines of the container. However, when water is a solid (ice), its molecules only vibrate. As a result, in order for water to freeze, it must release energy into its surroundings. This is an entirely open system, and guess what determines the temperature at which the water will freeze. The Second Law of Thermodynamics. When water freezes, it goes from a state of high disorder to a state of lower disorder. The Second Law, however, says that the universe can never get more ordered. It can only increase in disorder or stay the same in terms of order. As a result, for the water to freeze, the energy it releases upon freezing must disorder the surroundings more than the water becomes ordered. That way, the universe continues to get more disordered. For water, this happens for all temperatures lower than 0 degrees Celsius. Thus, water freezes at zero degrees Celsius because that’s when it can obey the Second Law of Thermodynamics. The behavior of this completely open system, then, is determined by the Second Law. Anyone who is informed about thermodynamics should understand that the Second Law applies to all systems, open and closed. where “b” is the benefit to the organism, “c” is the cost, and “r” is the relatedness of the organism for which the sacrifice is being made. The more closely related the organisms, the larger “r” is. The idea is that altruism might have an evolutionary benefit, as long as the organisms are related. For example, an animal might put itself in harm’s way to save another animal in the same pack, because they are related. Since they are related, the animal instinctively knows that the relative will help it survive, and if nothing else, some part of its genes will survive with the relative. If these benefits are greater than the cost divided by the relatedness, evolution says it is in the best interest of the animal to do the generous act. This equation, then, attempts to explain how altruism is compatible with evolution. However, as Nye admits, the equation doesn’t work. Thus, even though he spends two chapters trying to explain altruism from an evolutionary viewpoint, he can’t. The more distantly related the organisms, the smaller r gets. Thus, for the scenario of a person risking his life for an unrelated kid, r is very near (if not equal to) zero. When r is that small, the fraction on the right-hand side doesn’t approach zero. It approaches infinity! This, of course, makes sense. If the organisms are distantly related, the benefit would have to be very high for altruism to occur. Nye doesn’t understand this basic aspect of the equation. This is completely false, and Nye knows it is false. He made that statement in his debate with Ken Ham, and Ham showed him it was false. Rather than trying to inform himself on the issue, however, he completely ignored what Ham showed him and did not bother to see if creationism had made any predictions. If he had bothered to inform himself on the issue, he would have found that creationism has made a lot of predictions, and many of them have subsequently been confirmed by the data. A young-earth creationist model of planetary magnetic fields, for example, has made several predictions, all of which subsequent data confirmed (see here, here and here). A young-earth study of helium trapped in zircons made a prediction about the diffusion rate of helium in zircon, and it was confirmed by the data. Creationists long predicted that the human appendix is not vestigial, and subsequent data confirmed that (see here, here, and here). Creationists have predicted that genomes have limits on how much they can change, and the longest-running evolution experiment has confirmed that. Here are a few more predictions that have been made as a result of the creation model and have been confirmed by the data. It’s unfortunate that Nye doesn’t want to inform himself on the issues about which he writes and speaks. 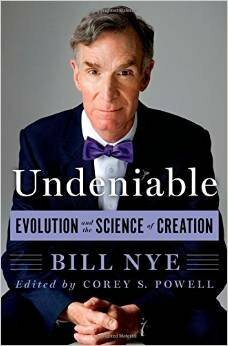 If you are interested in a more detailed list of the errors in Nye’s book, most of which are the result of him refusing to inform himself on the creation/evolution debate, feel free to look at this PDF. While I am sure it doesn’t contain all of the errors in his book, it does contain the ones that I found when I read it. Thanks for noting that, Lawrence. I will change it. Can you write a post explain how, in a global flood, aquatic life of either form, saltwater or freshwater, could survive one year in spite of the huge net change in salinity that must have resulted from the co-mingling of so much fresh and salt water? Sure, Lawrence. Here is a good discussion of how aquatic life survived the Flood. Great work on that detailed list! Thank you, Jim. I hope it is helpful for those who want to learn the actual science behind the controversy. Regarding the AIG article on aquatic survival, do you find the explanations to be intellectually satisfying? To me it reads like a string of just-so stories and ad hoc suppositions. In particular, the *latent* ability to survive in the opposite environs does not translate to the *extant* ability, which in turn kills the fish before it has a chance to adapt. This is not a gradual change in salinity happening over generations, but to all intents an immediate and dramatic change — there is no time for adapation; all aquatic “kinds” would have had to already been able to survive in both environs and in the composite result (I honestly don’t buy that rapid global flooding could result in significant areas of separated fresh and saline waters and that somehow the right fish ended up in the right pockets). It also frequently says “many”, implying “most”, when in reality it should say “some”; for example, “Many of today’s marine organisms are able to survive large salinity changes…” Relative to the numbers of creatures this claim is a vast exaggeration (IMO, feel free to correct me). I would love for you to create a piece, which I suspect would be far more credible — assuming, of course, you have deeply considered the question and are convinced that a global flood does not present a real problem. Yes, Lawrence, I do find the article intellectually satisfying. The fact that some (many doesn’t imply a majority, so I don’t see a problem with it) fish can tolerate large changes in salinity implies they have a larger amount of genetic information. Since we know genetic information declines over time, it makes sense that a lot of today’s fish have lost that tolerance. Also, remember that only a few fish of the extant kinds had to survive to repopulate the oceans. I wouldn’t be surprised if I took a large population of cod today, a small fraction of them could tolerate low salinities for a year or so, especially if they can move around and find areas that have more salinity than other areas. The same could be said for exclusively freshwater fish and tolerance to high salinities. > An experiment was done that seems to support this. I may be misremembering, but it’s my recollection that the referenced experiment did not emulate the turbulent conditions that would be present in even the most conservative estimate of global flood conditions. That’s certainly true, Lawrence, but it also didn’t have the depth or breadth of water in the Flood. The more depth and breadth you have, the more likely you could find salinity levels that work for you. Distributional studies, salinity tolerance preference tests, and behavioral studies indicate that many freshwater fish species can withstand extended exposure to salinities < 9 o/oo, can tolerate brief exposures to higher salinities (about 15 o/oo), but cannot survive chronic exposure to salinities above 9 o/oo. However, age and acclimation can influence this generalized pattern. The ocean’s current salinity is 32-37 o/oo, and one would expect that it would be a lot more variable in a worldwide Flood. Thus, I don’t see a problem with representatives from each extant kind of freshwater fish finding a salinity that would work for them over the course of the Flood. I assume that saltwater fish also have the ability to tolerate lower-than-ideal salinities, so I suspect representatives from the extant kinds of saltwater fish could also find tolerable salinities during the Flood. A great review, thanks Dr. Wile. The second thermo law is a very interesting beast. In every textbook, you will find in the definition that it only applies to closed systems. This is fine when you are dealing with theoretically perfect objects that can be isolated. However, reality is not isolated and the 2nd law isn’t really applicable in its purely isolated form. But rather, the second law should be used in application to whatever variable that is in question. This often means defining flux and making sure that the flux in is equal to the flux out to make a pseudo-isolated system. In Nye’s case for the earth, the flux, I assume, is energy. This is a fairly simple calculation to consider the flux in/out (with some simplifications such as a spherical earth, averaging over periods of revolutions & rotations). Then, you can take the mean flux in/out and just adjust your calculations. This is done all the time. It allows you to use a pseudo-isolated system because you have taken into account all the outside changes. When you apply the 2nd law to such a system, it works perfectly. All that to say, the 2nd law is often misunderstood. Nye should know as a scientist how to properly use it, what its limitations are and aren’t. Simply saying a system isn’t closed is a cop out in most cases because the issue is not whether or not it is truly closed but whether you can determine how it interacts with its environment and account for that. It even uses water freezing as an example of how to properly apply the Second Law of Thermodynamics. I taught physics and chemistry at Ball State University for several years, and even in the freshman courses, the texts had the Second Law Expressed correctly. They also showed how one considers both the system and the surroundings to determine whether or not a process could occur based on the Second Law. Thanks for that detailed list, Dr. Wile. That’s a valuable resource you’ve put together. About the second law, I too have always thought that it was very problematic for evolution. I wouldn’t say it makes it impossible, but it certainly seems to make it extraordinarily improbable. The whole process, and especially the origin of life, seems to involve immense increases of order. The common evolutionist response to this problem is not, as Nye says, that that the second law “doesn’t apply” to open systems. I think what he means to say is that the second law does not constrain open systems in the same way that it does closed ones. If the earth is a closed system, then there simply cannot be a net increase in order as evolution proceeds. But, if the earth is an open system (and it technically is, since it receives energy from the sun, gives off energy into space, etc), then increases in order can (theoretically) be offset by decreases in order outside the earth. Still, even if Nye had phrased this explanation correctly, I think it’s totally inadequate. As you pointed out, there is no known mechanism by which the increases in order on earth can be offset by decreases elsewhere. It’s not enough to say that it’s possible- possibilities come cheap. After all, it’s possible that a hurricane could turn a pile of rubble in New Jersey into a housing development, offsetting the entropy through atmospheric changes in California. I’d never believe someone who claimed it happened though. 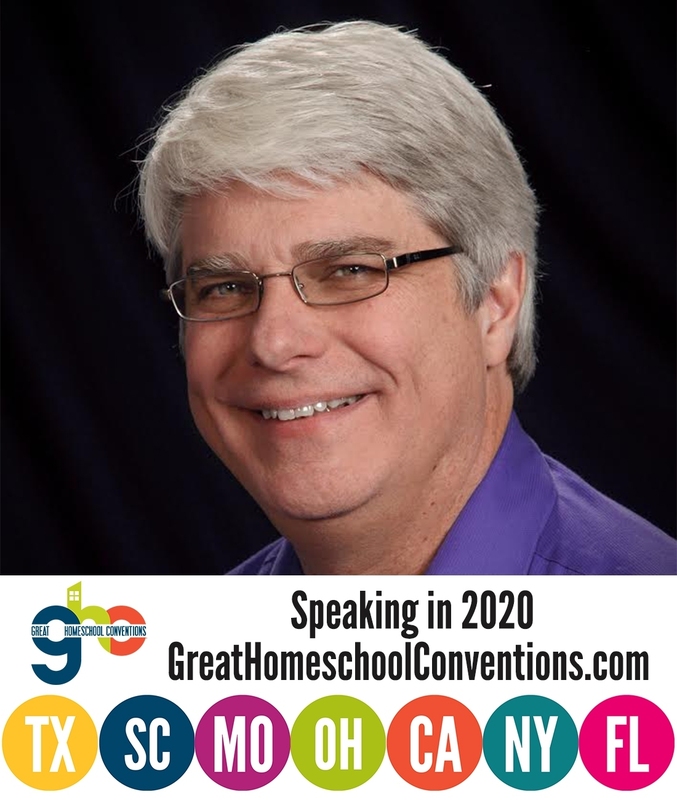 YEC Tim Gilleand is claiming on his blog post dated 1 February at ‘Grace with Salt’ that you have written/produced “12 pages of errors found in Bill Nye’s book”. Is Gilleand being truthful there (I have not listened to his associated podcast)? The link entitled “A Detailed List of the Errors I Found in Undeniable” in this post is a 12-page document. It contains the errors I found and my corrections. Dr. Wile, thanks so much for the time you spent documenting Nye’s errors. I thoroughly enjoyed reading the PDF and plan on recommending it to my friends. Thanks for all of the work you do educating people about science. I am working on my degree in Physics and am so grateful for the foundation that I received in High School from your textbooks. I am so glad my books prepared you for your university studies in physics, Jordan! I’m in way over my head here, but in regards to the salinity question. In light of all the extinct aquatic creatures, only some of the aquatic organisms that once existed had the in-born ability to adapt and survive while the rest died out. So the problem of change in salinity can show support for the flood model, depending on presupposition. With only those able to survive still extant today(could not find any resource indicating a percentage), rather that a potentially misleading idea that all aquatic organisms then alive were required to or able to survive the flood. According to The Emergence of Animals: The Cambrian Breakthrough (Columbia University Press, 1990, p. 169), the fossil record has a single extinction event (called the Permo-Triassic Mass Extinction) that saw the demise of 96% of all marine animal species. I think people like Nye and Dawkins are sloppy because they are enamored with the *idea* of science. In addition, because they just know ahead of time that creationism is wrong and Darwinism is true, they don’t bother to get the details right. For them, it’s a foregone conclusion. Since they think they know in advance of the fact that creationism is hopelessly wrong while evolution *must* be right, accuracy becomes secondary. The evidence *has* to favor their position and disfavor the opposing position. My scheduled post on Bill Nye and his antics was published today, and I wanted you to know that I linked to this article, strongly urging people to read it. That link is here. Thanks for taking a stand despite those who want the truth shut down. I love your pouring out of truth grounded on solid reasoning. In contrast, here is some speculation related to the survival of aquatic life during the flood: I wonder how many (or how few) fresh water fish existed before the flood. Genesis 1:26 talks about fish in the sea. I also wonder how salty the original sea could have been. If salinity increases over time perhaps it was not all that salty and perhaps parts of the oceans were not salty at all, having insufficient time to reach equilibrium. We can only speculate what Earth was like before the flood apart from biblical testimony. Having to explain how they survived assumes the past was like the present, which is surely was not! You are certainly right, Corey, that the preFlood world was different from the postFlood world in many ways. However, unless some fundamental laws of nature were different back then, fish would have to deal with osmosis one way or another. That means the salt level would be important to them. If the ocean wasn’t very salty before the Flood (which is most certainly possible), then we have to explain how fish adapted to the salty conditions now. If the ocean was salty back then but there were few freshwater fish, we would have to explain how freshwater fish adapted to freshwater. After reading this and also reading the 12 page document on the flaws Nye makes, I’m still not convinced. Although it is undeniable that there are errors in his book, many of the errors noted in the document are seemingly biased and taken out of context in an attempt to simply undermine the work as a whole. Same with this in many ways. I support most, if not all, of Nye’s claims so perhaps this too will be biased, but in any case most of this simply seems like an attempt to, again, undermine his work as a whole. Even the smallest errors are taken out of hand. The claim made that many of his ideas can’t be looked at with sincerity because scientists today, even with perfect calculations, don’t truly know if they’re understanding is correct just seems like an effort to undermine.. Well, basically science (and creationism for that matter) in general as this statement can literally be applied to anything. I don’t know, it just seems to me as though, as a whole, it’s more of an attack on his ideas than constructive criticism on his errors. Jim, could you please provide an example of an error in the review that is “biased and taken out of context?” Or perhaps one of the “smallest errors” that “are taken out of hand?” I didn’t produce the review for constructive criticism. I produced it so that people would know how error-riddled the book is. I agree with Jim in the previous post in that you do appear to take minor errors and exaggerate their importance. Moreover, you do not robustly rebut what you consider erroneous statements. On page 12 of Nye’s book you disagree with his assertion that there is not a single instance in the fossil record where a fossil is out of place. One example you come up with (at http://blog.drwile.com/?p=12162) is of Gansus yumenensis which you admit has different features from a duck (Claws on the wings! How ducklike is that? ), but because it looks like a duck it must have been a duck (even though we don’t know if it in fact walked like a duck or quacked like a duck). You disagree with and disparage the National Geographic assertion that it must have been a primitive ancestor of ducks (remember, claws on the wings!) even though that is a perfectly plausible conclusion. British scientist J.B.S. Haldane is famously alleged to have replied, when questioned about what it would take to falsify the fossil record: “Fossil rabbits in the Precambrian.” That would indeed be a fossil out of place. And notice that he said “fossil rabbits”. A single fossil could ostensibly be explained by geologic faulting or something along those lines. But Precambrian rabbits in the Americas together with Precambrian rabbits in Australia would not allow for such an explanation and the theory of evolution would fail. But more to Bill Nye’s point: fossil rabbits in the Precambrian is in fact what creationism would predict. If all animals were created 6000 years ago, we would expect to find all fossils throughout all geologic rock layers. The fact that we do not do so is very strong evidence against simultaneous creation. That is what falsifies creationism. Ben, the claim that there is not a single fossil out of place is not a minor error. It is a major one! Also, if you don’t like the example of Gansus yumenensis (which clearly is out of place), that same article gives another example – amber that is clearly from an angiosperm in rock layers that were supposedly laid down before angiosperms evolved. If you don’t like those examples, there are also these examples and these examples. Also, you need to learn what creationists predict, because no creationist predicts all fossils through all geologic rock layers. In fact, creationists expect order in the fossil record, because of several processes that occurred during the worldwide Flood. Rabbit fossils in the Precambrian would falsify the creationist model of geology as well.